The Museum's archivists will provide a behind the scenes tour of collections facilities, exhibit highlights from the Theater and Manuscripts and Ephemera collections, report on current grant projects, and share information on upcoming projects. 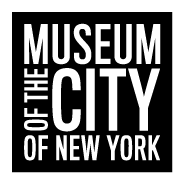 The tour is limited to 12 attendees, and an RSVP is required by Monday, 10/12, so that your name can be provided to security and you can be sent information on how to enter the Museum the evening of the tour. To RSVP, please email Lindsay Turley at lturley@mcny.org. As we will be leading the tour through the Museum's secure Curatorial Center, all attendees must arrive by 5:25, so the tour can begin promptly at 5:30. Unfortunately, we do not have the means to accommodate late attendees or walk-ups.